This is an amazing and truly profound photo and quote! Many of the things we perceive to be obstacles in our lives are often times simply due to our imagination. 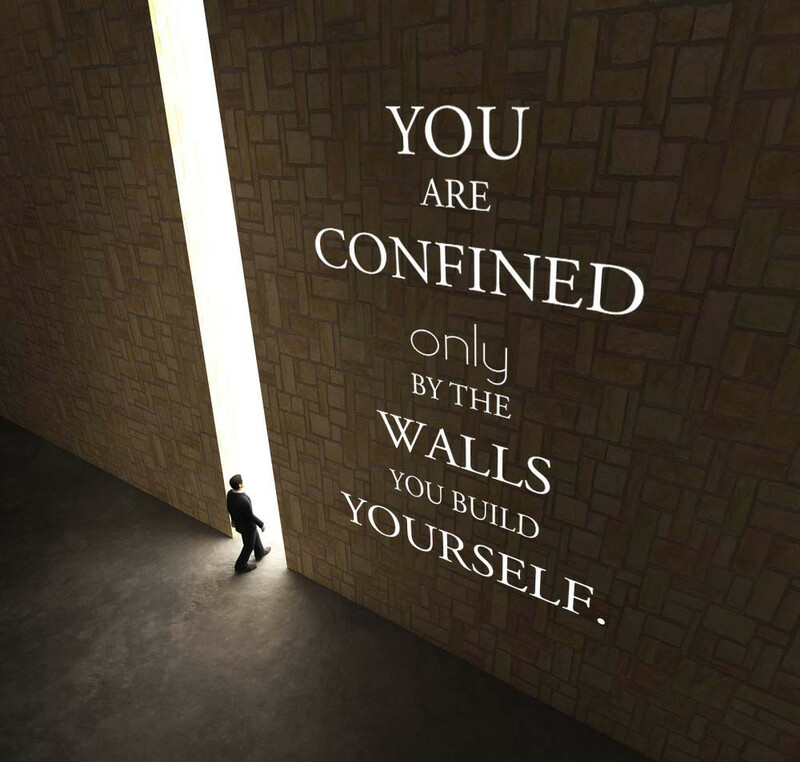 When we tell ourselves "we can't" or "it's impossible" or even "not now", what we are in fact doing is creating walls around and obstacles around ourselves. When we understand that many of the obstacles or challenges in our lives are caused simply by us thinking of them as obstacles, then we can grow and free our minds from these thoughts. To achieve anything great in our lives we must tare down the walls that society creates, but even more so, that we create for ourselves!